Argonics’ polyurethane valve box covers last longer than steel and provide a tight seal for the perfect fit. 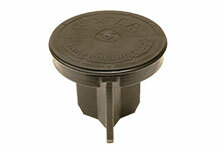 They keep out most contaminants, prevent valve box wear and reduce rattling noise 100%. They are tight enough so they won’t pop or roll out, yet pliable enough so they don’t need to be steamed to be removed during winter weather.